The Manuka tree (or Tea Tree) is native to New Zealand. When European honey bees were introduced to New Zealand, it was discovered that the honey the bees produced from the Manuka tree flowers was something extraordinary. It has a distinctive dark brown color, and is more viscous than other types of honey. It is touted to have antimicrobial properties that can kill bacteria, yeasts and fungi. There are a number of companies that market honey that bees have prepared from the blossoms of the Manuka tree. 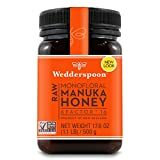 But you'll see a variety of Manuka honeys and Manuka honey products, and it's worthwhile getting acquainted with the terminology. Bees produce honey from the nectar that they forage from flowers. The color and taste of the honey will be influenced by the types of flowers from which the bees collect the nectar. If the bees have been collecting nectar from the Manuka tree, the honey they'll produce will have four times the nutritional content of normal honeys. UMF from 5-9: Good for maintaining good health. UMF from 10-14: Good for natural healing. UMF from 15-20: Considered therapeutic honey, for specific treatments. Use on wounds: One customer used Manuka honey on surgical wounds. It was noticed that the wounds healed more quickly, eliminated a staph infection, and scarred less. First you clean the wound with hydrogen peroxide, and then apply honey to the wound and cover with a gauze pad. For treating eczema: Some also notice that applying Manuka honey to eczema has miraculous effects in removing the scaly patches. 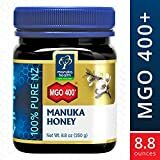 For digestive problems: People notice that Manuka honey can calm a number of digestive problems: heartburn, nausea from irritable bowel syndrome, and more. How much from Manuka pollen? 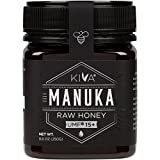 There is another metric with Manuka honey, called the Kfactor. If the honey has a Kfactor of 22, that means that 90% of the pollen grains that the bees have used is from the Manuka tree. A Kfactor of 16 means that 75% of the pollen is from the Manuka tree. A Kfactor of 12 indicates that only 65% of the pollen is from Manuka. USDA Approval: Pure honey tends to be expensive to produce, so there is a temptation to put in cheaper syrups or sugars, or to add fructose to keep it runny. USDA approval requires that something that is labeled “honey” must be a pure product, without any additives. They also have certain guidelines to ensure that the product is organic, meaning that the honey has undergone a minimum of processing..
Crystallized honey: Even if you bought the honey in a liquid form, honey has a tendency to crystallize naturally. The honey hasn't gone bad by any means (in fact, honey has the ability to last for centuries, if it is sealed so that moisture doesn't enter). If you want it in a runny form again, put the closed jar of honey in warm water and stir, until the crystals dissolve. Another tip is to put a spoon in hot water, and then take out a bit of the crystallized honey from the jar. It will become runny and spreadable again! Storage: Since honey lasts for so long, it is best to store it in glass. Storing it in plastic may cause the taste of the plastic to leach into the honey over time. 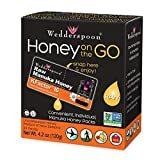 Wedderspoon-- is a producer or Manuka and gourmet honey, based in New Zealand. It was started by Diane Wedderspoon in 2005. 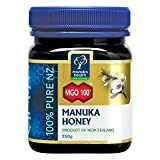 They started producing Manuka honey (which is originally native to New Zealand) in North America, after seeing how difficult it was to find in Canada and the United States. They now have 35 varieties of Manuka honey products. Y.S. Organic—is a company manufacturing bee products, located in Sheridan, Illinois. They are part of the Y.S. Eco Bee Farms, that were established in 1985. They hold organic fairs, that educate people about the benefits of organic honey and the honey preparation process. Manuka Doctor-- was founded in 2011. They make a series of bee products, utilizing them for skin care treatments. Their products employ no harsh chemicals or genetically modified ingredients. They make products from Manuka honey, as well as from bee venom. Pacific Resources—was founded by David Noll in 1989, and is based in southern California. They make Manuka honey products, gourmet honey, pacific sea salt, cough and cold remedies, and more. His aim was to introduce the healing properties that New Zealand natives associate with Manuka honey, to the wider public. Kiva Health Food—are marketers of health food products and supplements. 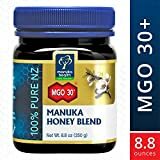 They produce raw Manuka honey, as well as maqui berry powder, moringa leaf powder, maca powder, camu camu powder, chia seeds, and more.